C.E. Morgan’s first novel, All the Living earned her a Pen Award nomination and a “5 Under 35” award. 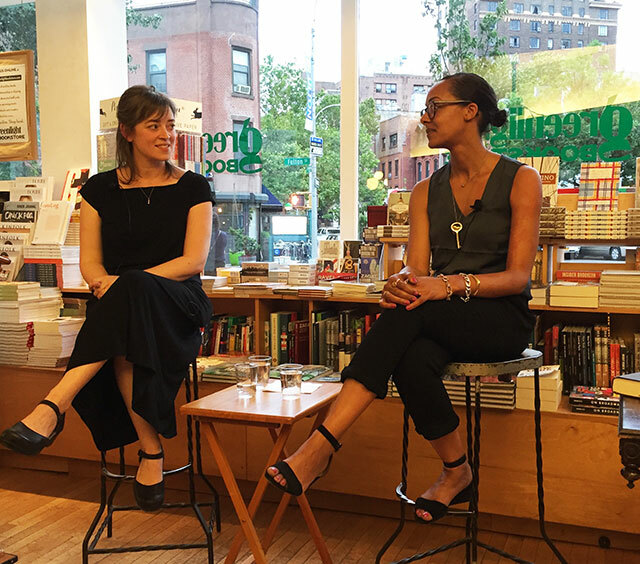 She was at Greenlight Bookstore to discuss The Sport of Kings, her second novel, with Lisa Lucas, executive director of the National Book Foundation. The Sport of Kings examines class and racism following Henry Forge and his daughter, Henrietta, partners in an endeavor to breed race horses, while grappling with wealth, poverty and the legacy of slavery. As a writer, Morgan isn’t interested in discussing the text of the book. “I don’t go into the text to explain the why or how,” Morgan says. 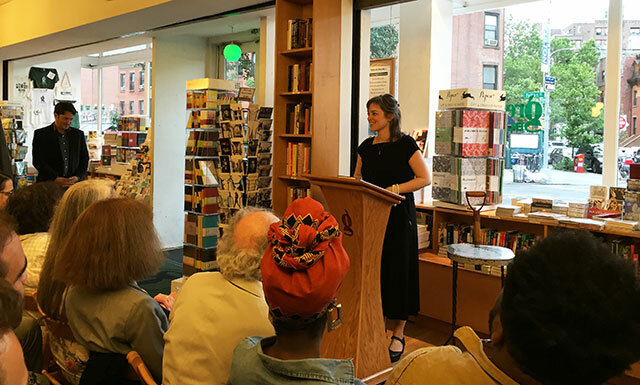 She is a firm believer that once a book is published, it belongs to the reader, and writers shouldn’t publish their book until it speaks for itself. The lack of close critical reading among among reviewers is a cultural loss, Morgan says lamenting the shortage of people willing to read and then reread a text. The writer’s great challenge is in crafting a text that a reader can discern the full meaning of on a single read. Lucas points out that the size of the book lends itself to a great many comparisons, often big books by southern writers. “I don’t think of myself as a southern writer at all,” Morgan says. Her interests aren’t limited, and she doesn’t feel beholden to a region. It’s dangerous to be read as a regional writer she says, because it comes across as a slur. Regional identity as a writer is about names and the power of naming. That naming comes from New York City as a way of controlling other writing. Regionalists are dismissed and marginalized writers. Writers in Kentucky, where Morgan is from, are constantly called regionalists. The idea of regional writing limits the writing. It suggests that the work is only of interest to a person from a specific region and not to other people. Morgan says writers are only able to get as deep into their writing as they are willing to go into the self. She thinks the best thing a writing can do is take up a meditation practice to help in looking inward. The less afraid of yourself, the less afraid of the characters you create, she says. The idea that it is impossible write a political novel doesn’t ring true for Morgan. She says literature can engage in seeking justice in the world. “I believe in the power of literature to change lives.” Class and race both limit mobility she says. “Isolation allows us to believe a lot of American myths.” A lot of those myths lead to bad politics. Morgan says she has no interest in myth, but that they are always present.